Parents often ask me to recommend curriculum for their children with special needs. But it’s like asking me to recommend shoes. I have questions: what size, width, and activity? Any color you can’t stand? What have you tried and how did that work—or not? 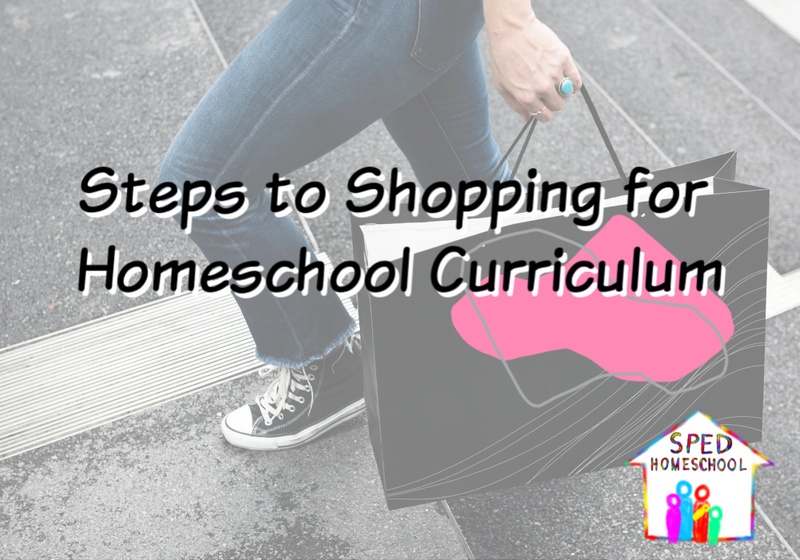 Every child is unique, but here are my steps to shopping for homeschool curriculum. Now that you know what you want to focus on, ask friends with kids with similar issues what they use. Don’t know anyone homeschooling a child like yours? 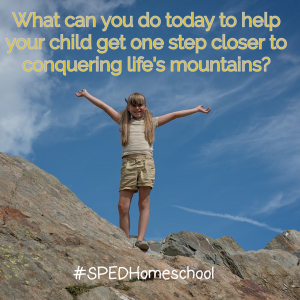 Join SPED Homeschool’s Facebook Support group. Search the groups’ archives, in case someone asked your question last year. Original blog was written on learndifferently.com. Author has granted permission for this article to be reprinted.